Section 101, a New York based company that delivers a dynamic web-based solution by providing simple and effective tools for music brands to create their own website, is pleased to announce the launch of a new DIY website for Lawrence Music Group at https://lawrencemusicgroup.com/. In addition to their premium model, Section 101 offers a Do-It-Yourself model, providing all the tools and functionality required for clients to create their own unique websites. Country superstar Tracy Lawrence, a Section 101 premium client, was so impressed with the platform that when his company was looking to re-launch and re-design their website on a budget, he gravitated to Section 101 for their online needs. 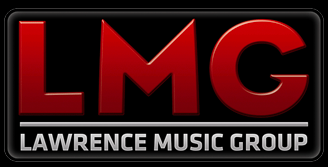 Established in February of 2011, Lawrence Music Group is a multi-faceted record label comprised of artist service departments including publishing, production and management. Artists include Tracy Lawrence, Josh Pruno (who also has a Section 101 website), Rick Huckaby and Jared Wade. Each artist has their own page on the new site, with biography, booking and management information, as well as links to their website and social media pages. Says Kathleen Conley, Section 101's Director of Customer Care, " It was amazing to see the team at Lawrence Music Group create an effective and functional DIY website for their multi-faceted record label. They've taken full advantage of all of the DIY features and we couldn't be more excited to launch this website."